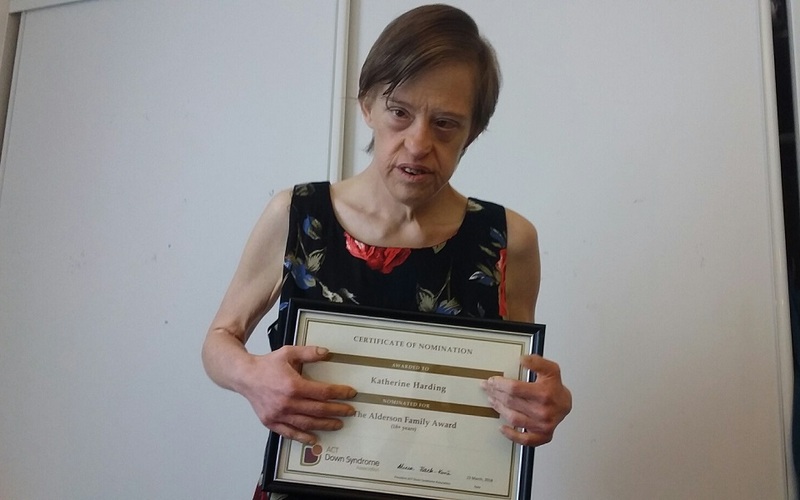 At the recent Alderson Awards night in the ACT, Kathy was presented with an ‘Alderson Family Award’ for active involvement in her local community. Kathy set her sights on goals this year of building her social calendar and getting active – since accessing Sunnyfield services, Kathy regularly attends craft and dance club, has found new interest in cooking and music, and played basketball in the ACT Women’s League. Kathy has really enjoyed meeting new people, taking part in loads of new activities, and is looking forward to continue connecting with her community in the future. If you are interested in adult group-based activities, start the conversation today and contact our friendly Client Engagement Team on 1300 588 688 or click the button below for more information.